Ok now this has my interest. I have less than 10 deer on three cams this year. Down a few from last year. One of these deer is the biggest doe I have ever seen. She rules the whole property. She has not had a fawn in at least the last two years. She rears up and kicks any deer she sees. She has my food plots all to herself. Every other deer stays away from her. I have the only food plots that I am aware of on all neighboring properties. She goes from plot to plot staying 90% nocturnal. Is it possible one bully doe could be keeping deer of my property. I kicked her out of her bed once last year and she stood at 40 yards staring me down for 5 minutes. She has a real bad attitude. 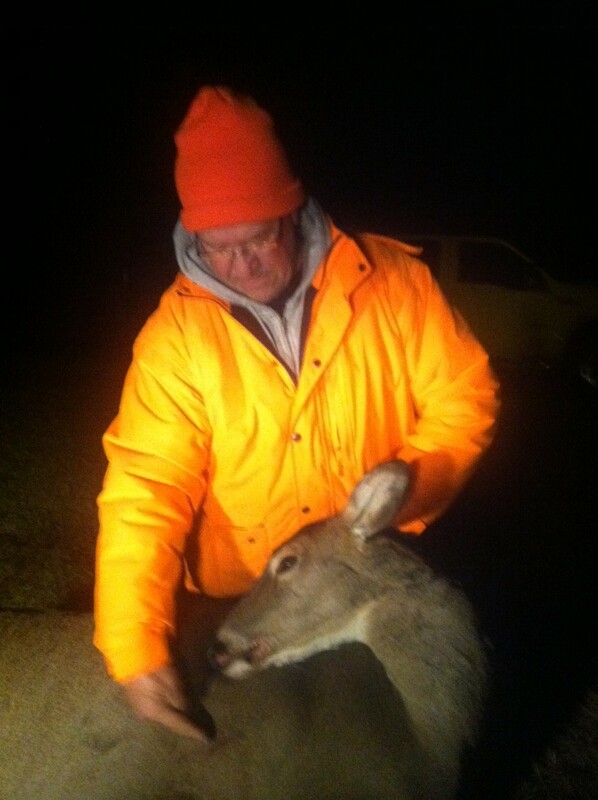 We do not have a doe season or problem would have been solved. Does can be every bit as territorial as bucks and they most definitely have their own dominance hierarchy system. If you had high DPSM numbers, she wouldn’t literally be able to keep all the deer off your ground (assuming you own more than 20 acres or so), but in lower DPSM numbers, the other does are more likely to find areas that they don’t get bullied out of and shift their activities there. Unlike bucks during past season, spring and summer, where they at worst tolerate other bucks, doe family groups don’t. Bucks are by far most territorial during the scrape, chase and breeding phases, as well as the mature bucks continuing through what most call the second rut (I think that’s an extremely inaccurate and misleading term, but that’s another topic). Doe family groups do this, in one form or another, all year long. Without a doubt, a nasty alpha doe (most often, and her entire clan) can cause significant stress on the other family groups on a property, as well as bucks during the spring and summer. What a person can do to increase harmony a bit is offer multiple, distinct bedding areas and food sources. One can even corridor off 1+ acre chunks of larger food sources with screening to decrease stress between family groups, as well as increase the number of family groups utilizing a food source. I suspect part of your problem is that you are in a lower DPSM area, and that’s resulted in more of the competing deer shifting away from the larger area she tries to control. In other words, the deer that used to be there are filling the holes where she isn’t.